Why are Oil Change Routines and Oil Light Resetting important? 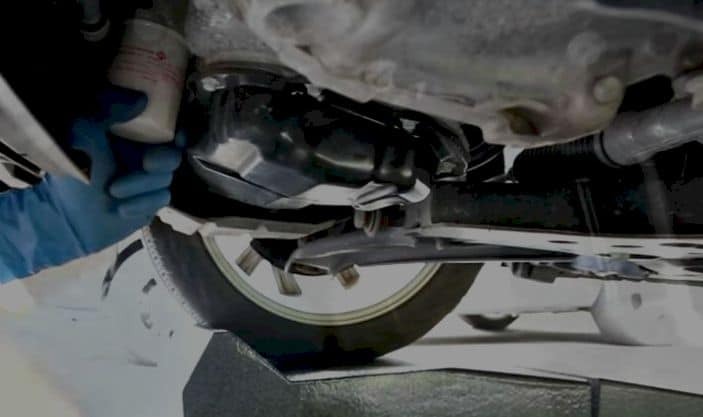 » Why are Oil Change Routines and Oil Light Resetting important? Car maintenance is as important as the decision of buying the car itself. With this, you need to understand that there are car components that you need to change every once in a while. One important component of every car maintenance routine is the oil change. What’s oil have to do with cars? For starters: since cars are made up of different moving parts that rub against each other, oil becomes the necessary lubricant that absorbs the heat and protects the car from overheating. But of course, just like any other important resource in our cars, the oil will break down and wear out overtime. Hence, you have to get it changed from time to time. So the question now is how often. The answer really depends on the car make, the year it was purchased, and even on the environment that you usually drive your car in. Mechanics would usually recommend that you change oil every 5,000 accumulated miles. But, they also added that you might want to consider changing more often if you drive on higher speeds, have an older engine, or if you live in an area that is a bit harsh than usual – meaning you usually drive in relatively cold, hot, or even dusty places. Changing car oil is not rocket-science, so do not fret. As most of you know, especially the car enthusiasts, this is something that you can do by yourself (especially if you like getting yourselves dirty or oily for that matter: pun intended). But for the newbies, you can always ask for help from a friend. If you’re on a business trip and you don’t want to end up being oil-clad, there are always mechanics around town that you can visit for this task. It’s highly recommended that you choose a certain shop so you can also build a long-term relationship with your mechanic (remember, oil change is not one-time magic). One particular issue that drivers and mechanics get themselves into is with regard the resetting of the oil life. 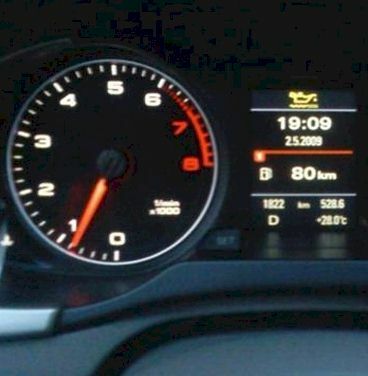 This is done by changing the oil, and that change should reset the oil light in your dashboard. What is the oil light? For starters, take a look at your dashboards: it’s that one tab or gauge that tells you about the condition of your motor oil after a specified number of miles. The issue lies when the oil light gauge doesn’t always reset as it should. Sometimes, when a driver is not too knowledgeable about this, pointing fingers or an altercation may happen between them and their mechanics. So, relax, you have to understand that it’s normal. It can happen. You do not want to have that unnecessary and usually uncomfortable shouting match with your new best friend in town, your mechanic. If you changed oil on your own and you do not know that this may happen, you might get a little paranoid about the condition of your car. Again, relax: there is something that you can do. Your car is not necessarily damaged. Resetting that oil light gauge is something that you can do on your own. You will need to determine certain things first before you can begin with resetting the oil light. The first step is to determine the car-make and your specific car model which will also require you to know the year when that model was released. This is because cars even from the same manufacturer may require different techniques. With that in mind, you should know that the oil change appropriate for your car is in the manual provided when you bought it. The manual should be able to outline the steps. The steps might differ even on identical models if they were manufactured years apart. “What if I don’t have the manual as of the moment?” you ask. You may visit the manufacturer’s website for the steps applicable for your car. As mentioned, there may be different ways to do the job. In this article, let’s look at two specific examples so you can get a feel and an idea on how it should be done. Let’s discuss Chevrolet, an American car maker. It is known that non-American brands have completely different methods and needs altogether. For Chevrolet, let’s look at two different methods: (1) for cars manufactured earlier than 2005 and without the computer-based Vehicle Information Center (VIC); and (2) for newer models with the VIC. The older models: you need to sit in the driver seat with the doors closed. Then you have to turn on the ignition to the accessory power position which will bring on the lights in the instrument panel. The oil light should flash and then turn off within 5 seconds of turning the key step on the accelerator to the floor for three times. If it doesn’t work that way, you have missed your 5-second window and you should restart the ignition and try again. For the new models with the VIC, it seems easier. First, you have to turn on the ignition to the accessory power position which will turn the lights on. Second, you have to locate and press the VIC button which will display the oil life message. Then, press and hold the center of the VIC button for a second and you will see an acknowledgment message validating the reset. After that, you can now turn off ignition. Until your car requires the next oil change, the oil life message won’t be displayed. This is just one example, and this is only applicable to one car-maker. The method, most likely, will be different for most car brands but the logic for doing so might be the same. Oil change and resetting the oil change light are very important components of car maintenance routines. It always pays to know your car very well, to understand its components, and to study its unique features that may require different attention and expertise from your mechanics. If the manuals and company websites are not enough, you can always call for a friend’s help. Now get that oil change that your car deserves!